Strong winds and changeable conditions made for fierce racing and nowhere to hide at the start of the Odd Down Winter Series with three out of the four races going to the breakaways. 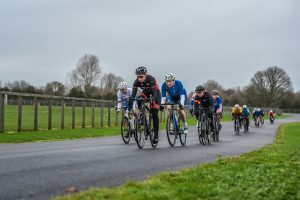 It should have come as no surprise to the riders that the racing would be tough at Odd Down and they stepped up to the mark, putting on a display of aggressive and attacking riding that the circuit is becoming notorious for. 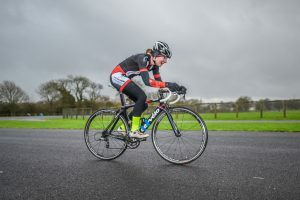 The most impressive of the efforts on the day came from Louise Hart (Performance Cycles) in the women’s 2/3 race; sustaining a long solo ride against the wind that the chasers were left unable to contain. Hart had attacked from the moment the neutral start was ended and had her rivals chasing her coat tails from that point onwards. Her closest rivals were Lucy Gadd (Liv Halo CC) and Kate Baker (Avid Sport) who managed to fight back on terms initially with Olive Holliday (Somer Vally CC) also prominent in the chase. However, the onslaught from Hart was only beginning and on the third punch she was away, with Gadd and Baker finding themselves collaborating to hold off the chase bunch rather than in any hope of a pursuit of Hart. By the finish Hart had almost a kilometre’s advantage over her pursuers, where Gadd came round Baker into the headwind finish for second. Becky Evans (PDQ Cycle Coaching) took the bunch sprint behind for fourth. 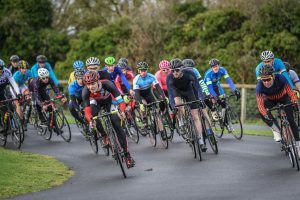 Last winter’s men’s races were dominated by a handful of riders who showed no hesitation in barging away from the main bunch, and the early indications are that we are in for more of the same this year. With the main bunch already shredded by the wind, the winning move was triggered by Oliver Beresford (VC Venta) with just under half of the race to go. He was quickly joined by three others as it quickly became clear that is was now or never for the rest of the bunch. Less than a minute later, a group of five had formed well clear of the bunch, with three riders charging into the gap in a desperate final attempt to make what was becoming the winning move. Latchem Sunwise had two riders in the front group; Nathan Hallett and Adrian Lawson and they were accompanied by Beresford, Will Page (Primera-TeamJobs) and Roman Piotrowski. 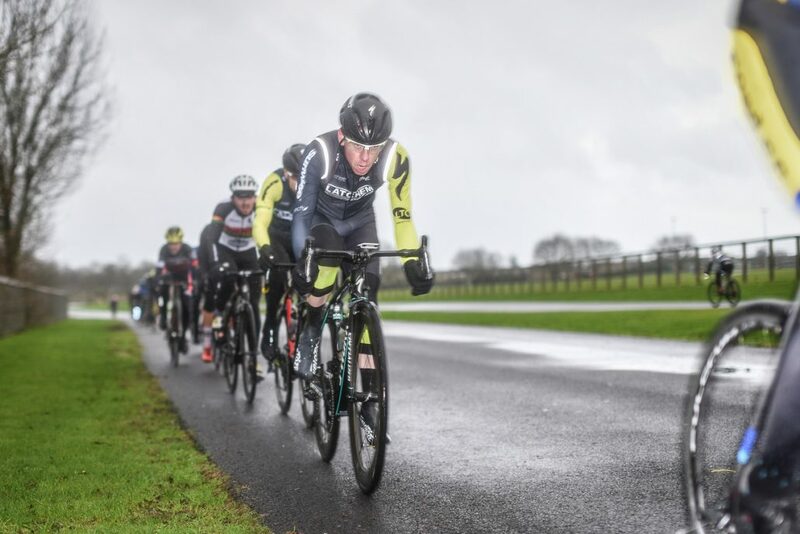 As the finish drew near, Hallett was replaced in the front group by his teammate Kieron Goodwin who had been persevering in pursuit of the leaders whilst the rest of the chasers fell away. Latchem were able to make these numbers count as Lawson clipped away just before the finish to hold off the rest of the group for the win; with Goodwin, despite his protracted chase, coming in second for a Latchem Sunwise one-two. Beresford reaped the rewards for triggering the winning move by taking third, with Page in fourth and Piotrowski in fifth. Hallett held off the bunch for sixth with Kristian Bond (Ystwyth CC) taking the bunch sprint behind for 7th. In the men’s 4th cat, there was another successful breakaway, with Mike Beech (Matlock CC) powering away with three laps to go to build a substantial lead over the main pack. He had played it cool by hiding the bunch throughout the first part of the race, where the surges into the crosswinds had seen a steady stream of riders go off the back. Jacob Bacon (TY Cycles) took the bunch sprint for second with Conor McGoldrick (University of Bath CC) taking third. The only race to come down to a bunch sprint was the women’s 4th cat race. The main protagonist throughout the early stages of the race was Avid Sport’s Joanna Goodhead who did not want to rely on her sprint against a large group. Her attacks were unable to get her clear of the other front-runners, but she was able to shrink the front group down to six riders by the final laps. 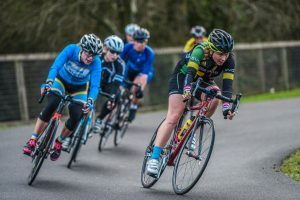 Lucy Collins had played a savvy game throughout, hiding in the wheels against the savage wind, and her tactics paid off as she took the win in the sprint. Goodhead was second with Laura Bosomworth (University of Bath CC) in third. In the overall standings, the winners of the four races take the lead respectively in the 2nd cat and 4th cat standings. The best placed 3rd cat in the women’s race was Evans who takes the lead in the women’s 3rd cat series standings. The best placed 3rd cat in the men’s race was University of Bath’s Daniel Martin in 10th place, so he takes the lead in the 3rd cat men’s standings. With three riders in the top six, it is no surprise to see Latchem Sunwise take the early lead in the team standings with 120 points. Behind them is Avid Sport with two podium finishes and eight riders in total to score 89 points. Univesity of Bath CC are third with 82 points and one of the largest teams fielded on the day.